Grass Cutting – 207 Lawn Care Serving Biddeford, Biddeford Pool, Saco, Arundel, Alfred, Sanford, Kennebunk, Kennebunkport, Buxton, and Scarborough Maine. At 207 Lawn Care is job one because we value our customers. And few services enhance a yard better than a quality cut. Therefore; our customer’s lawn is a priority. As proprietors, we take pride in our grass cutting service. Because; your yard is our best advertisement! We’ll maintain your piece of planet earth as though it were our own. Due to our preference for quality work. At 207 Lawn Care, we don’t skimp on hardware to maintain our customer lawns. So; nothing less will do. Top-notch equipment used at our facility also benefits our customers. Therefore; all equipment is adequately repaired to ensure reliability. No matter the trade, a customer, has a distinct advantage when hiring experienced contractors. Since we bring 35 years of hands-on experience to work for you! Furthermore; we will do what is reasonable to earn your trust and confidence in our abilities. Springtime is generally a hectic time here at 207 Lawn Care. So; it’s best to call early to secure a spot on our route. We try to accommodate customers, but beating the Spring rush is suggested. 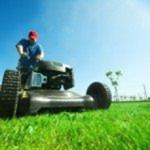 When you contact us, please provide a detailed message indicating lawn care needs. We generally return calls within 48 hours. Moreover; we will set up a time to drive to your property and view your job. Prepared for consideration, will be the proposal soon upon job site review. Furthermore; in most cases, it’s not necessary for you to be on site. If the job particulars require a physical meeting, we will accommodate as needed.